Unsure about Twitter? One way to participate without an account is to use the search. With Twitter Search you can look up people, hashtags and more. Create a username that will represent you well. It could be your name. Russ uses @russkahle and I use @mrscarolnelson. Use a professional photo or have someone take a photo of you (keep in mind what is in the background). Think in terms of a business card or resume. Short and sweet tell who you are and what you are about. The header is another way to personalize and let people know you. Follow a couple of people that you already know who are on Twitter. Look at the people you know and who they follow or who follows them. #TwirtyDays offers a 30-day challenge and great overview for using Twitter. Lists help you organize your followers into categories or groups, which allows you to easily see tweets from a specific group without having to scan your entire feed, which saves you time. Lists can be private or public. 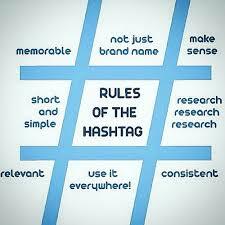 "A Twitter Chat is a one hour conversation on Twitter where everyone uses a common hashtag. Typically this is a focused topic with structured questions. Participants are online at the same time. It is a synchronous conversation." Use the appropriate hashtag so that it is public and linked to the particular chat. Chats use a “Q1, Q2, Q3...” and “A1, A2, A3...” format. ​Third party applications such as Hootsuite, TweetChat, or TweetDeck can help follow the chat. Don't have twitter but want to get updates? Get it texted to your phone!! To get started text: “Follow @username” to 40404 and you will start receiving tweets from that user on your device. You can turn off receiving updates by sending “STOP @username” to 40404.